Officials from the Afghan Independent Election Commission (IEC) announced on Monday November 19 that nearly 40 percent of the Afghan parliamentary votes had been counted. Abdul Bade Sayyad, the head of the commission, speaking at a news conference in Kabul, said that the vote counting of 11 provinces has been completed so far. The votes of more than 200 stations in Kabul province have been audited and recounted, and also the vote counting for more than ten other provinces are being completed. A number of provincial offices in the Baghlan, Paktia and Kunduz provinces are currently closed, and their emphasis is on ending the scenario of closing the offices of the election commission, Sayyad added. As the delays in announcement of parliamentary results became prominent, it became directly proportional to protests by people. The Afghan parliamentary elections were held on October 20 and subsequently, the Independent Election Commission (IEC) had announced that the initial results of these elections would be announced on November 10 and the final results would be announced on November 20. But after more than a month, the IEC failed to announce preliminary results. The new dates announced by the commission to announce the preliminary results are November 23 for provincial results and December 1 for capital results. Meanwhile, a number of parliamentary candidates in Paktia, Baghlan, Kunduz and Badakhshan provinces have been protesting and stressing that the vote counting process is corrupt and not transparent. But IEC officials say that the intervention of a number of parties and a congestion of electoral observers in the vote counting centres in IEC headquarters has led to the delay in the announcement of results. “On Sunday, observers from a number of parties halted the process of recounting and auditing because of a dispute with a low-ranking commissioner,” Abdul Sayyad said at a news conference on Monday in Kabul. “Although the leadership of the electoral commissions ordered to resume, the observers of the parties did not pay attention and were provoking others to prevent the progress of work,” he added. 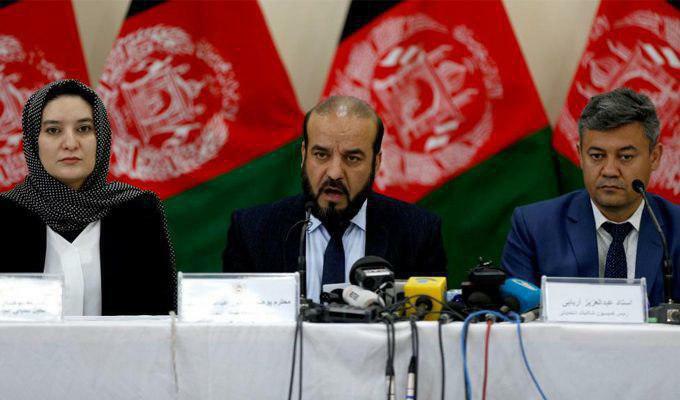 The Afghan Independent Election Commission (IEC) has also announced in a statement that a number of observers have gone beyond their jurisdiction and are attempting to exert more influence. The statement states that a number of parties have failed to take into account the principles and procedures of supervision by sending additional observers and, by provoking others, disrupting the audit and the recounting process. Nevertheless, the commission officials have remarked that by continuing such a situation, the commission will not be able to announce the results in due time. The Afghan Independent Election Complaints Commission once again announced on Monday (November 19) that votes without biometric are to be considered invalid. 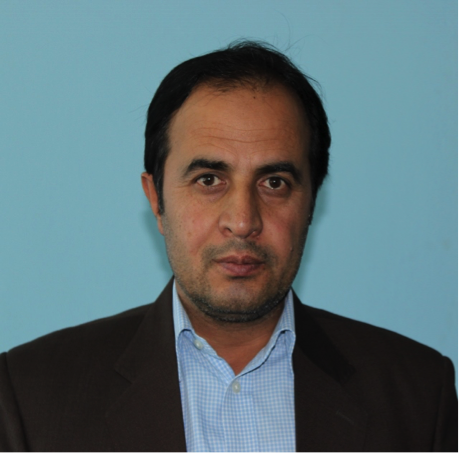 IECC has also dismissed 14 IEC staff members. IECC Spokesman Alireza Rohani, stressed that after reviewing more than 10,000 electoral complaints, they invalidated the votes of 174 polling stations. According to him, after addressing these complaints, 14 IEC staff members have been dismissed, and 119 cases have been sent to the Attorney General Office for follow-up. Earlier however, the two electoral commissions had agreed to validate the votes that were cast without biometrics, but IECC spokesman recently declared its invalidation, and insisted that announcing the election results with these votes would be unreliable. 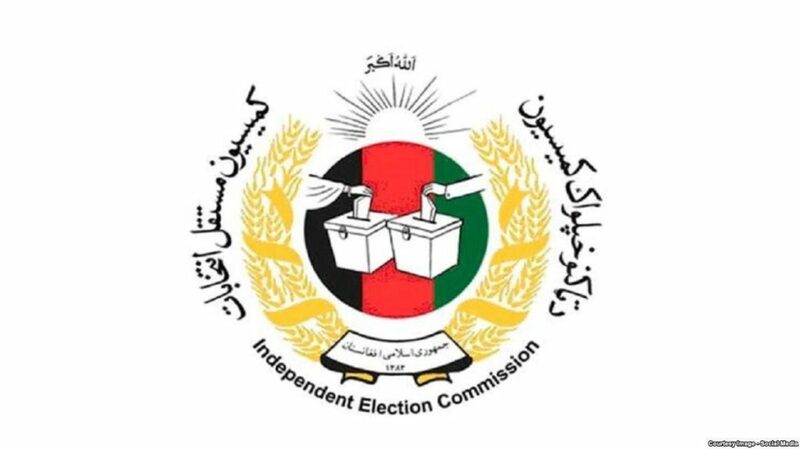 The Afghan Independent Election Commission on the other hand believes that the Electoral Complaints Commission is acting beyond its “jurisdiction”. 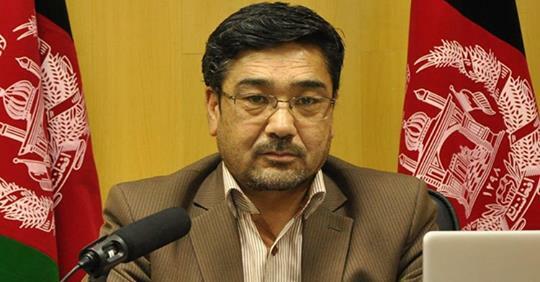 “Some of the IECC commissioners intervene beyond their job descriptions, which is why the IEC does not allow them to interfere in our work at some points which are contrary to the job descriptions,” IEC commissioner Hafiz Hashemi commented. However, a number of legal experts have argued that the invalidation of the ballots of different centers is very much within the jurisdiction of the Independent Electoral Complaints Commission (IECC). “This is one of the duties of the IECC- when to review or invalidate the votes. If the employees commit violations or offences, their dismissal is also the duty of the IECC, ” a legal expert, Abdul Wahid Farzaei, explained. 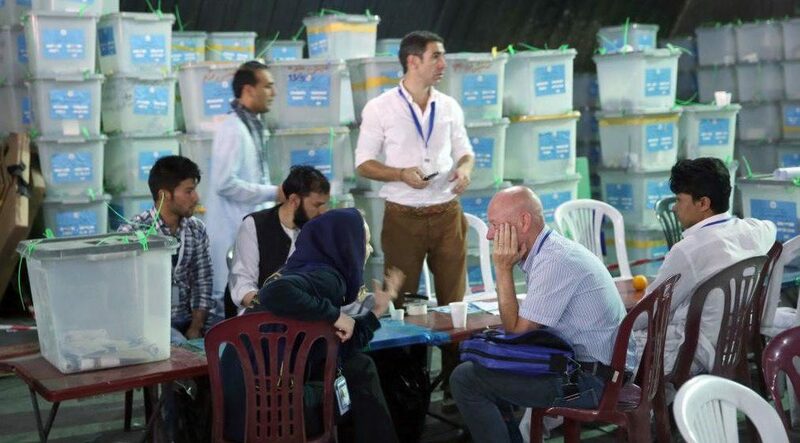 The Afghan Independent Election Commission (IEC), said on Monday November 19 that full recount of Kabul’s votes has continued with new employees, and this process has entered its sixth day. Nevertheless, a number of election observer institutions consider the recounting process to be a superficial process and believe that principles to check transparency and impartiality are not being practiced or observed . According to them, in this process the clean and unclean votes are not separated, and only being recounted. “The observer institutions assumed that the recounting process would be different from the first round of counting, and that the cases of fraud and suspicions would be seriously examined”, FEFA executive director, Yosuf Rashid stressed. FEFA officials, however, clarified that in the recounting process, they did not see any distinction between clean and unclean votes. Meanwhile, the House of Representatives points out that if the Independent Election Commission does not take transparency into account when recounting votes, then the election will not be acceptable to the people. Second Deputy Speaker Amir Khan Yar, who chaired the general meeting on Monday November 19, stressed that transparency should be taken into account and that the initial results of the election should be announced at its given date. “Our demand from the Independent Election Commission is to pay attention to transparency while recounting the votes, and to announce preliminary results at the given date”, he said. A number of Afghan political parties deduce that the Independent Election Commission of Afghanistan is under political pressure from the government, which has caused delay in the announcement of election results. 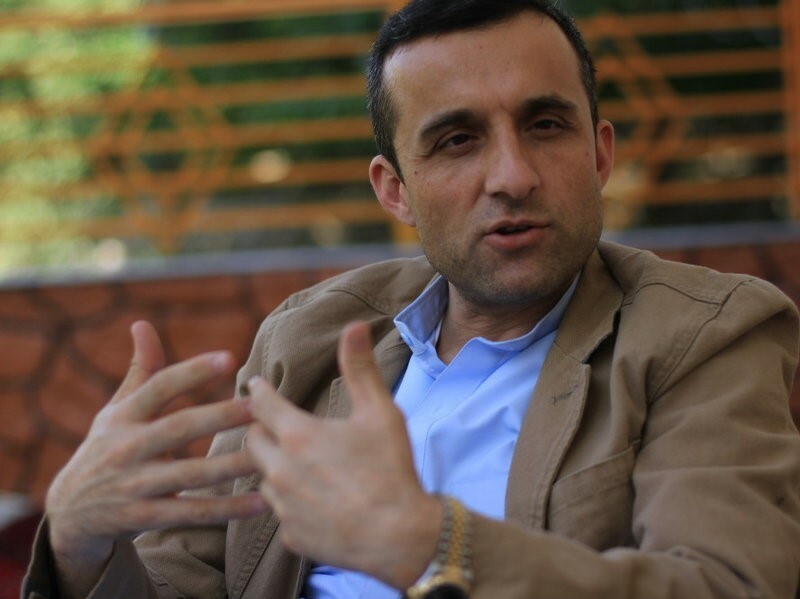 In the meantime, Amrullah Saleh, former NDS chief insists that the parliamentarians are appointed by the ARG. Mr. Saleh claims that people who close to Ashraf Ghani had told a number of parliamentary candidates that the final results of the election will be determined by them. “A number of leading candidates have been called to come to the office of Salam Rahimi, president chief of staffs and Mr. Fazly, the advisor to president, Wazir Akbar Khan, & these people were told that they are going to be on the winners list if they sign a paper pledging loyalty to the president & future demands from his office. This practice must be stopped & any nexus between ARG and the office to the IEC staff be investigated”, Mr. Saleh expressed on social media. Meanwhile, a number of Afghan election observer institutions insist that security forces directly intervened in the electoral process on election day and have not allowed the observers of these institutions to enter the polling stations. “The security forces, in particular the ANP, stood by the voters on the election day and forced them to vote in favour of a particular candidate, for which reliable evidences are available,” said Soghra Saadat, TEFA spokesperson. But officials in the Afghan Independent Election Commission (IEC) clarified that the commission is under no political pressure. In addition to announcing the results of the Afghan parliamentary election, the IEC is also preparing for holding the presidential election. The commission has declared April 20 as the date of the Afghan presidential elections but the Wall Street Journal earlier this month proclaimed in a report that delaying the Afghan presidential election is likely a prospect due to peace talks. The newspaper quoted US diplomats as saying that another option in Afghanistan would be the formation of an interim government with the contribution of the Taliban. But later, the government of Afghanistan and Washington officially denied these allegations, and both announced they are committed to hold the timely presidential election. But in Kabul, a number of political parties, while declaring their agreement to form the “interim government”, insisted that if such a government can bring permanent peace to Afghanistan, they will accept it. Recently, Zalmay Khalilzad, the US Special Representative for Afghanistan Reconciliation, expressed he hopes to reach a peace deal with the Taliban before the Afghan presidential elections next year. Mr. Khalilzad, on Sunday November 18 told reporters in Kabul that he is ‘cautiously’ optimistic about peace talks with the Taliban.